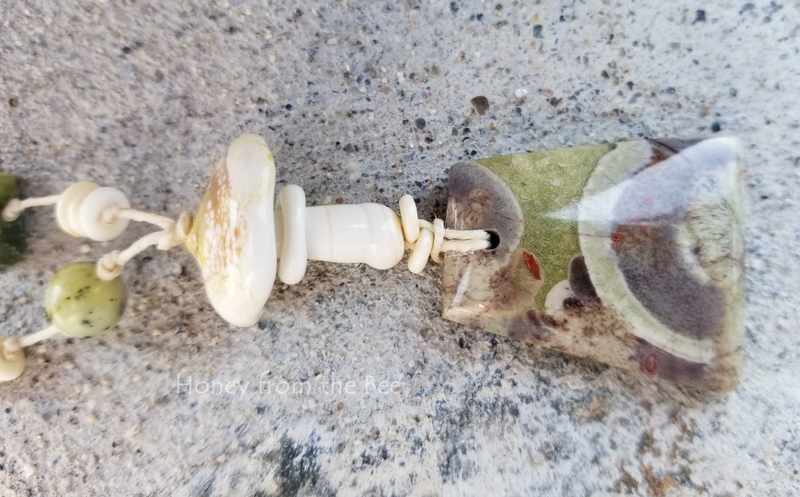 This nature inspired art necklace I'm calling Looking for a Fun Guy. Corny, I know. Think exploring the forest floor for treasures. 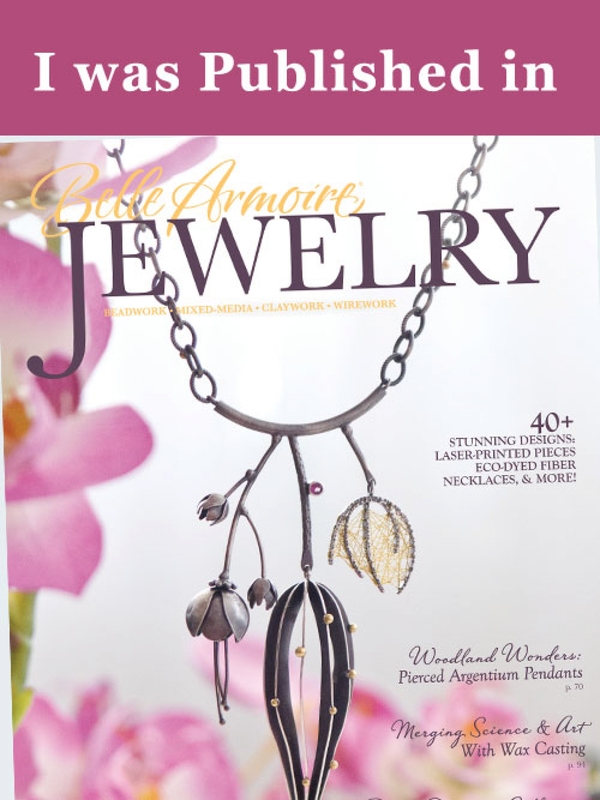 This fun necklace was published in the beautiful publication Belle Armoire Jewelry, Autumn 2018. I'm so proud to have had work published in this magazine a few times. It's always a thrill to get that nod. I will include a signed copy of this issue with your purchase of this necklace. 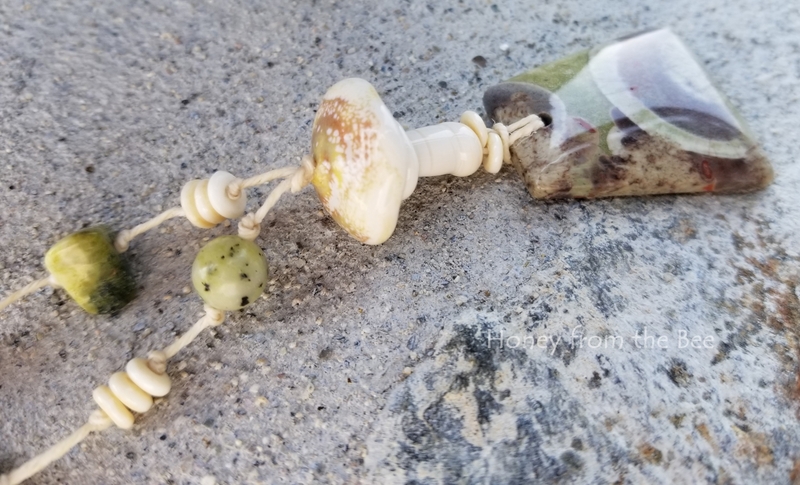 Focal is a combination of Mushroom Jasper and a mushroom lampwork bead. Yellow turquoise beads in 2 shapes and bone spacers tied on to Irish waxed linen pick up the color up along your decolletage. A brass chain in a bronze color completes this fun 19 inch artisan necklace. Focal is about 2.25 inches long. 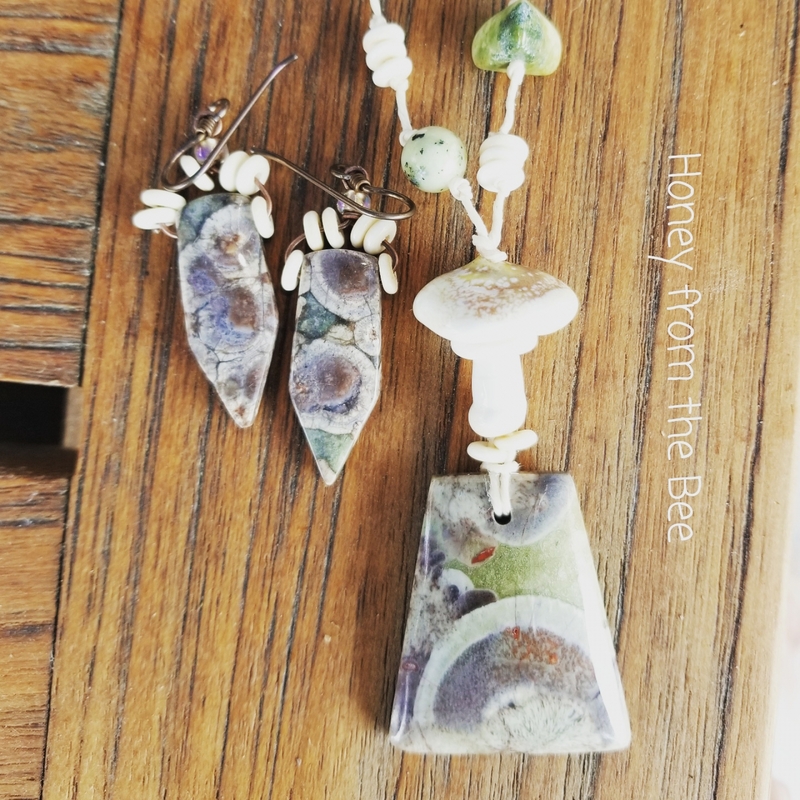 I paired it with an earring set using the same type of stones. You can find the earrings, as pictured in last photo, here.